Welcome back. 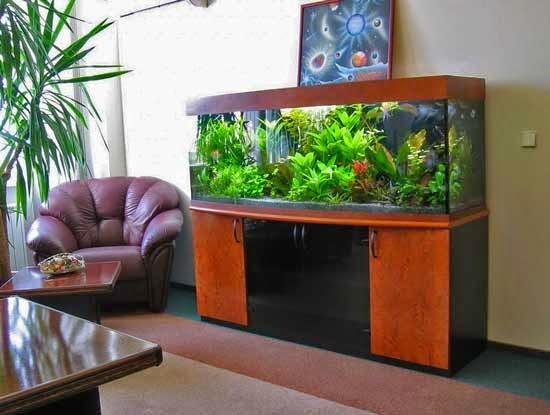 I know I told you about the problem I had minding the neighbor’s kids’ goldfish (Fish Eyespots), but I don’t think I ever wrote about a government group chief who decided the ambiance of our suite of offices would benefit from tropical fish. the one we had for a while. He walked in one morning followed by a logistics officer pushing a dolly on which was a large aquarium--it had to be 4 feet long--a wooden stand and aquarium paraphernalia (all purchased at the group chief’s personal expense). They quickly set everything up in our central space and filled the aquarium with water. The next morning, the group chief arrived with assorted fish in water-filled plastic bags that he emptied into the aquarium. Being a superlative delegator, he enlisted two administrative aides to feed and monitor the fish. Everyone in the group was pleased and had a favorite fish. As word spread, staff from other offices came by to see the building’s only tropical fish. Visitors on business calls stayed longer than usual to observe, ask questions, give advice and recount fish stories. All was copacetic until an unknown malevolent force upset the balance of the aquatic ecosystem. Algae flourished on the glass walls; fish began rising to the top, gasping for aquarium rejuvenation. The two administrative aides devoted a soggy 30 minutes, probably longer, to the cleaning--time neither they nor anyone else had for this level of fish sitting. The group chief sadly removed the aquarium. This adventure came to mind when I saw a study last fall that examined how office employees reacted to the addition of plants (vegetation). Tropical fish are undeniably more mesmerizing than plants, yet the study was still quite interesting. An open-space office design with plants. 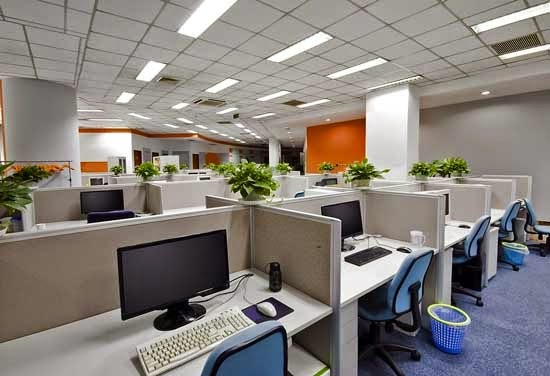 Maintaining the office environment free of unnecessary embellishments, including plants, allows greater flexibility to modify the space, for example, to vary the number of people or their functions. But is a lean office better than a green office? Research collaborators from the UK’s Cardiff and Exeter universities, Netherland’s University of Groningen, and Australia’s University of Queensland conducted three experiments in different commercial offices in the UK and the Netherlands to compare the effects of adding versus not adding plants. The first experiment had volunteer employees work at desks for 3 weeks with or without a view of at least 2 large-leaf plants. Analysis of questionnaire responses from 67 employees (34 lean, 33 green) found those who viewed the plants felt improved concentration, air quality (i.e., “The office has poor air quality”) and subjective productivity (e.g., “ I am happy with my performance lately”) compared to those who did not view the plants. The second experiment added plants to one office floor but not another, querying the perceptions of volunteer employees after 2 weeks and again after 3.5 months. The responses from 81 employees (21 lean, 60 green) showed those who viewed the plants felt increased workplace satisfaction (e.g., “I feel at home in the office”) and rated air quality higher. The third experiment randomly assigned volunteer employees to workstations that either had or did not have a view of at least three plants while the employees performed specific information processing and management tasks. The 16 employees who viewed the plants felt increased workplace satisfaction and had a 15% increase in productivity, with no increase in error rate, compared to the 17 employees who did not view the plants. Overall, employees in the green workspaces had more positive feelings about their work and environment. Adding plants increased workplace satisfaction, self-reported levels of concentration and perceived air quality, in addition to improving both perceived and actual productivity. The Pasona office building in Tokyo is probably bursting with positive feelings. (www.archdaily.com/428868/in-tokyo-a-vertical-farm-inside-and-out/) Photo was used in Indoor Farming blog post. 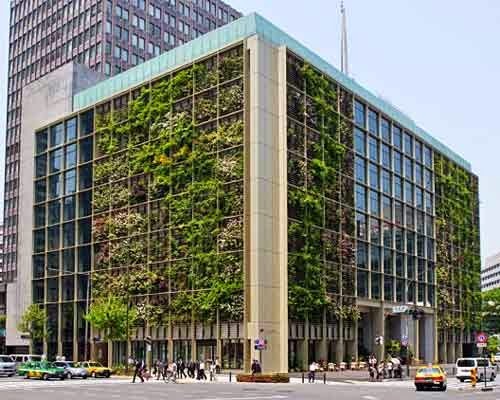 Since government offices occasionally have artificial vegetation, I’d be curious if substituting artificial for real plants would affect the results. Of course, I’d be even more curious if tropical fish were substituted for plants, though I’d warn the researchers to include an algae eater.